I'm cheating a little bit with this one, because I actually already read one of the books that I plan to review this month. But I figured, the point of the whole thing is to bring attention to older titles - and my aim is still to do just that. So here are the books that I plan to read for July. The last time I attempted to do this, I wasn't able to accomplish much because I ended up preoccupied with traveling and reunions and other fun stuff. 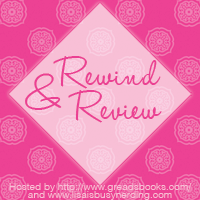 This August, however, I'm determined to finish catching up on ALL of my leftover review books (which is quite a few, thank you very much) and I'm pretty excited to be participating in the Review Copy Cleanup, August Edition hosted by Vicky & Celine. For more information on the actual event, check out this post. 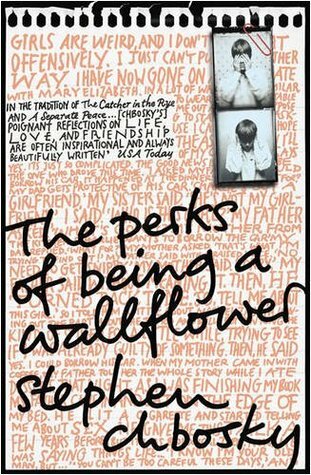 I loved the cover of Perks too when I saw it in the bookstore. I hadn't seen this one before, but snapped it up immediately. I've already read it, and I loved it. 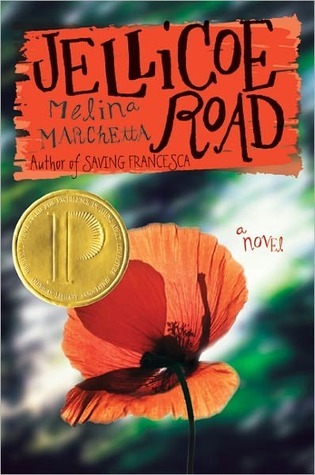 And I'm excited to read Jellicoe Road! I'm taking it with me to the beach this weekend, so hopefully, I get through a good chunk of it. I'm excited. I really should read The Perks of Being A Wallflower! I've heard of it, but really never thought twice about it. It looks good! Yay for the review copy cleanup! I'm actually in a bit of a cleanup mode myself right now ... slowly working my way through -- we'll see what I have left for August. Yes, you should! The book is really good. And plus, the movie is coming out! And I hope you can join RCC. It's pretty fun and a great way to motivate yourself to get through your review books. Hah, there's no way I'd be able to clean up all my review copies in one month, but I think it's a great aim to read through as many as possible. Ooooo I bought a bunch of Julie Garwood's when Borders was going out of business but have not read them yet. Soon. Ooh, which ones did you get? I love a LOT of her books. She's one of my favorite romance authors! I have Jellicoe Road on my TBR too!! Also this Julie Garwood book intrigues me. I'm reading it this weekend at the beach! 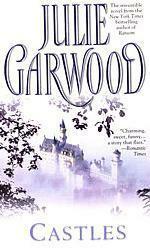 And yes, read this Julie Garwood book (and the rest of the books in this series) - it's one of my favorites! Been wanting to read Jellicoe Road forever now!!! Me too! I can't wait to crack it open this weekend! I just finished Perks last night and it was really wonderful. I am looking forward to the movie since the author also wrote the screenplay and directed it!